Minimum bounty size we will include in this report to 0.1 STEEM or SBD. There may be many bounties cheaper than this, however in the interest of spam avoidance we decided to exclude them from this list here. Thank you for running this service. It really is a great way to get exposure to your content. I see that I added the highest bounty this past week, and I did it to create awareness of the tragedy surrounding the case of Asifa Bano. Steemit is full of photography-posts and various crypto-related news. Nothing wrong with that, but I feel it is a great platform to create awareness of some serious matters in this world, and I will gladly spend my SBD to spread the word. Thank you so much. I hope it will be much more rewarding when we have a proper interface. I really love this initiative but was a little worried about exploitation of the rules. I would suggest changing the payout to be decided solely by the up-votes from the blog owner - which may of course differ from the bounty creator. This should stop abuse like this happening - a self-vote (by an alt. to sit at the top of my blog all week, in which there are much more deserved comments that should be there. Thank you. I wish i had noticed earlier and we could have managed this by downvoring a little. When thinking about the design we wanted to make it so that everyone in the community has a voice, because i feel this is in the best spirit of steem and at the same time give the sponsor the most power or weight. Hence the 80:20 distribution. 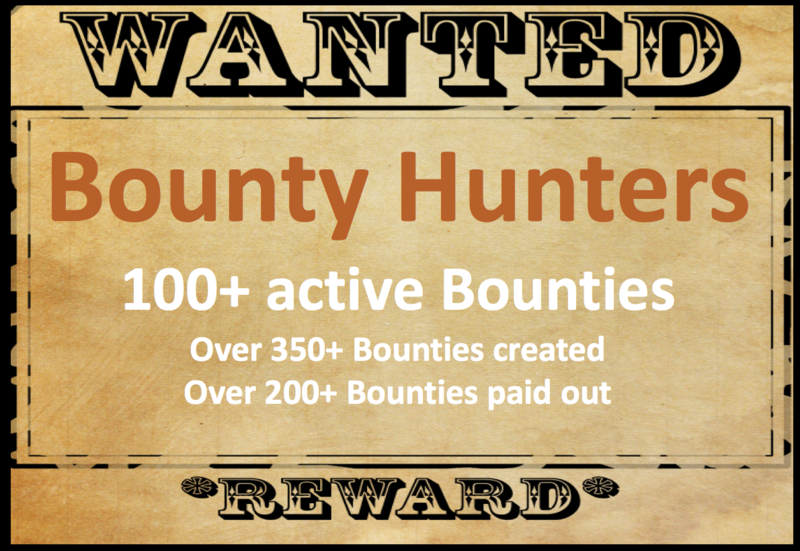 We have been thinking about adding rules auch as bounty creator flagging removes all rights for the bounty. Thinking about the post creator is another thing to work in. Maybe we can chat some time, i would really love to hear your feedback as we think about future versions. Very nice, thanks for the report and the help. i have you vote witness....if i want to particopate...how to @steem-bounty....??? U can create a bounty simply by sending steem or sbd to steem-bounty account. The memo needs to contain the post you want to put the bounty on. @Steem-bounty will then create the bounty and automatically pay it to the comments of that post according to their upvotes.